A sister at my church had heard that I love miniature books. As you all saw, I got a tiny Bible for Christmas as well. 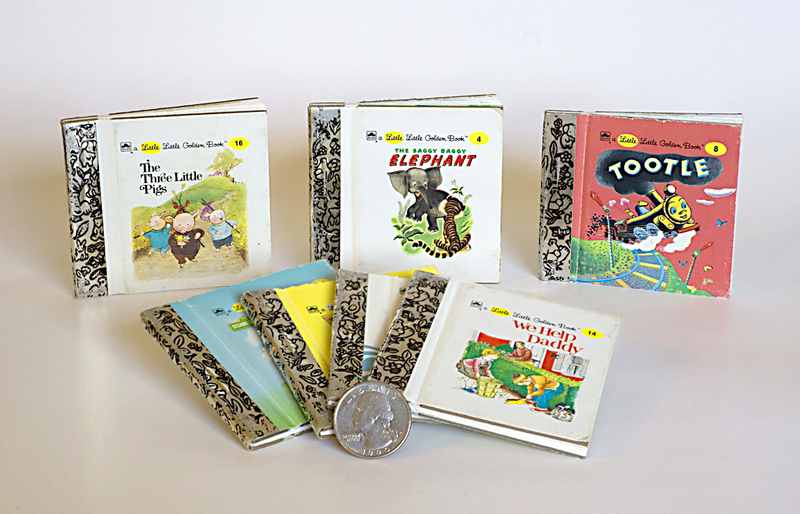 Anyways, Sister Diana gave me six miniature Golden Books that she had. They were great when I was a little girl, and now they are even better when they are 3 inches. So, Thank You for the wonderful gift Sister Diana. I am so happy to add them to my collection.